Office workers spend between 65% and 75% of their working day sitting, 50% of which is accumulated in prolonged periods of sitting. Certainly, over the last 50 years the social landscape of business has changed, moving away from that of moderate and heavy manual labor to one of more technical and office based work. In addition to this there has also been a reduction in people commuting on foot or by bike and a rise in sedentary leisure time, exacerbated by the use of computers, mobile phones and television. The combination of increased inactivity in work and during leisure time has led some researchers to estimate that adults spend 60% of their waking hours being sedentary. There has been a growing body of research that has emerged over the last few years which has looked at the short and long term risks of sedentary behavior. Only around 5 years ago, if you spent most of your working day at a desk you might be told that you were at risk of developing back pain. The latest research, however paints a different picture with some of the prominent risks of sedentary behavior now highlighted as; premature mortality, cardiovascular disease, diabetes, osteoporosis, depression, obesity, musculoskeletal disorders and some types of cancer. A recent publication in the Lancet warned that office workers who sit at their desk for more than 8 hours per day are 59% more likely to die from diseases such as some types of cancer and heart disease (Ekelund et al. 2016). With these new risks of inactivity highlighted maybe it is now time to stand up and take note. But what about people who are regularly active outside of work, surely the risks are attenuated for them? Of course, the benefits of active recreation and exercise are well published, and aiming to achieve the World Health Organization (WHO) recommendation of 150 minutes of moderate intensity exercise per week is certainly a positive goal for us all to aim for. However, the research suggests that people may still be exposed to serious health risks if they are sedentary for most the day, despite engaging in physical activity outside of work. The simple act of changing your posture and moving around in the office is classified as light-intensity activity and can increase the amount of energy you expend by between 0.5-2.0 Kcal/min. Although this may not sound like a lot, moving around in work and breaking up how long you sit for can help to reduce the risks of being inactive. Our musculoskeletal system has the remarkable ability to adapt to our environment and the tasks that we perform, both for poor posture and sedentary behavior as well as for activity and training. Our bodies are designed to bend, twist and move and they don’t like to remain in one position for long periods of time. With inactivity, our muscles, joints and fascia adapt so that some structures become tight and short while others become long and weak, which can cause tightness and stiffness in the muscles and joints and can contribute to pain and increase the risk of injury. We are literally in danger of becoming chair shaped. A substantial proportion of our time is spent at work and taking the above information into account it seems prudent to look at how changes in our working environment and working culture could increase our activity levels whist at work and help to reduce the risks of sedentary behavior. The office environment may provide the ideal place to help people become more active and help to protect against the risks of sedentary behavior, and this might be easier to achieve than motivating ourselves to pull on our trainers and head out for a run on these dark winter nights. Implementing change in the work place can be split in to 3 categories: environmental changes, behavioral changes and changes in office culture. Changing the design of the work place and equipment may offer a solution to encouraging employees to be more active in work. Simple solutions such as moving office equipment like printers and photocopiers further away would require employees to leave their desks and move more. There has been much debate in recent years about the efficacy of sit to stand desks and some preliminary short term studies have suggested that they may reduce the amount of sitting by between 60-90 minutes per day, although the health benefits of these have yet to be fully investigated. 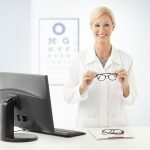 The cost of introducing such equipment as standard in the office may not be realistic for all employers but may provide a good solution for some. Other solutions include providing a space in the office where colleagues can be active, this might include a break out area with gym balls or advice leaflets on gentle exercise. Promoting the use of the stairs by making them a more interesting place to be, such as playing music or offering small rewards to employees at the top can be a fun and simple way to raise awareness. The use of a temporary “lift tax” during health promotion weeks, for people who are able to use the stairs, can be useful in getting employees to become more active. Having meeting rooms, kitchens and toilets on different floors in the office can help to encourage people to get up and move further. Some of these solutions are more costly and harder to implement than others, but nevertheless there are positive changes that all employers can make no matter how small. Employees may take time to recognize the benefits of taking regular breaks from sitting. The use of motivational interviews, seminars/webinars and targeted poster campaigns can be useful in catalyzing behavioral change. There has been some research into the use of visual prompts either by phone or PC to encourage office workers to stand up from their chair regularly, which has shown promising results in reducing prolonged amounts of sitting time, but there is still a paucity of evidence for the use of this and further trials would be beneficial. Changing individual’s behavior takes time, after all it may be breaking the habits of a lifetime, but the benefits of established channels of communication and social support in the office may make breaking these habits more achievable. From a physiotherapy view point, there are some simple and effective things that we can do as individuals to reduce the risk of sedentary behavior. Gentle stretching and movement exercises can help to keep muscles supple and keep the joint surfaces healthy, spreading the natural joint lubrication around the joints. Mobilizing and massaging tight muscles and fascia can help to reduce tension and tightness. Trying to keep as active as possible during the day by using the stairs and walking more, can help to increase your heart rate and breathing rate and keep your heart and lungs healthy. Making sure that you get up regularly from your chair during the day, going for a walk during breaks and at lunch time, performing gentle chair based exercises, moving your back and pelvis and changing your posture regularly can all help to alleviate muscular aches and pains during the day. Furthermore, it is important to consider correct sitting posture and correct work station set up. Even the worlds’ most expensive office could cause problems if incorrectly set up. Changing behavior, long-term in an office requires more than just persuading individuals to change, it requires a shift in the office culture. As individuals, we are highly influenced by those around us, and we are unlikely to initiate change unless we see those around us changing too. This may be the hardest area of all to affect, the adage of following the herd is especially true in an office environment. There are expectations and unwritten rules of etiquette in office culture that dictate how employees act. If someone is seen standing next to their desk or walking around the office during the day colleagues may perceive this as unusual or that someone is not working hard enough. This may prove to be one of the biggest barriers to change. After all, others perceptions of our behavior can have a great impact on how we act. The phrase “al desko dining” has been used to describe employees who sit and eat lunch at their desk, which demonstrates how little some people move away from their desk during their working day. This is related to the culture of “doing the same as others”: if you see your colleagues eating at their desk and working through lunch, you are probably more inclined to do the same. The same goes for long office hours, where employees don’t want to be seen as the first person to leave the office, for fear of how it is perceived by their colleagues. Employers have a key role to play in ensuring employees get up and move around more regularly. They can do this by arranging walking or standing meetings, to hand deliver information in the office instead of sending e-mails and by encouraging all employees to take a lunch break and eat lunch away from their desks. Engaging employees in National campaigns such as “Get Britain Standing” and “Work Out at Work” days or interdepartmental challenges can help to provide some light relief and a competitive element to increasing activity in the office. These are all cheap and relatively easy strategies to implement, but can have a great effect on employee’s health and wellbeing. It is however important to note that a change in office culture will only occur if there is buy in from the top of the organization and if those at the top are willing to support such strategies. The benefits to individuals of being more active in work and getting out of their chair regularly are clear. Moving more reduces your risk of numerous risk factors associated with sedentary behavior. However, what’s in it for employers and organizations? A less sedentary office is beneficial for several reasons; considering the potential increase in productivity both for individuals and for the businesses. This may be achieved through economic savings by improving employee productivity, increasing profitability, reducing sickness and absenteeism and the cost associated with this though sick pay and arranging cover. Statistics from the UK’s Office for National Statistics in 2014 show that 131 million working days were lost due to sickness absence. The highest number of days (around 31 million) lost was due to back, neck and muscle pain with the second highest occupation being desk-based workers. There is clearly a large economic need to make inroads to reduce these figures and it is possible that employing different strategies to reduce sedentary behavior in our work places could play a huge role in this. So, how much should we be moving in the office? 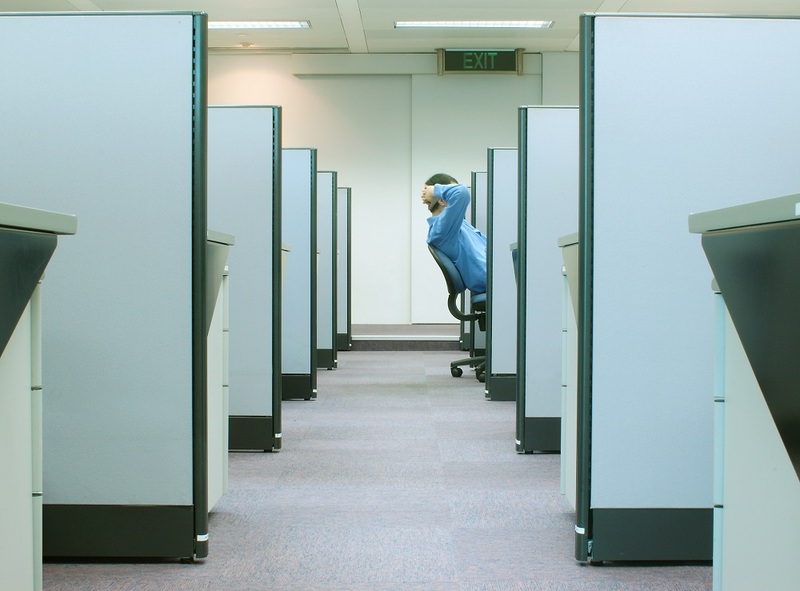 Until last year there were no clear guidelines on how often employees should break from sitting and how much time they should spend standing or moving around in the office. A consensus statement published by Public Health England and the Active Working Community Interest Company in 2015 drew up some recommendations based on a review of the latest evidence. The group suggested that those in sedentary office jobs should aim to accumulate at least 2 hours per day of standing and light activity in the office, eventually increasing up to 4 hours per day and that desk-based work should be regularly broken up by standing and vice versa (Buckley et al. 2015). This is a great step forward, offering employees and employers guidance on how active they should be in the office, but more research is required to understand the long-term risk of sedentary behavior, how specific targeted solutions can impact on this behavior and to provide further clarification for more robust guidelines. Given the current economic climate it is not clear how easily recommendations such as these will be enforced or how willing employers will be to implement them. However, there are low-cost strategies that can be introduced to improve employee’s health and well-being, productivity and to reduce sickness absence. Of course, there is no easy answer or quick fix to reducing sedentary behavior for employees in desk-based professions. 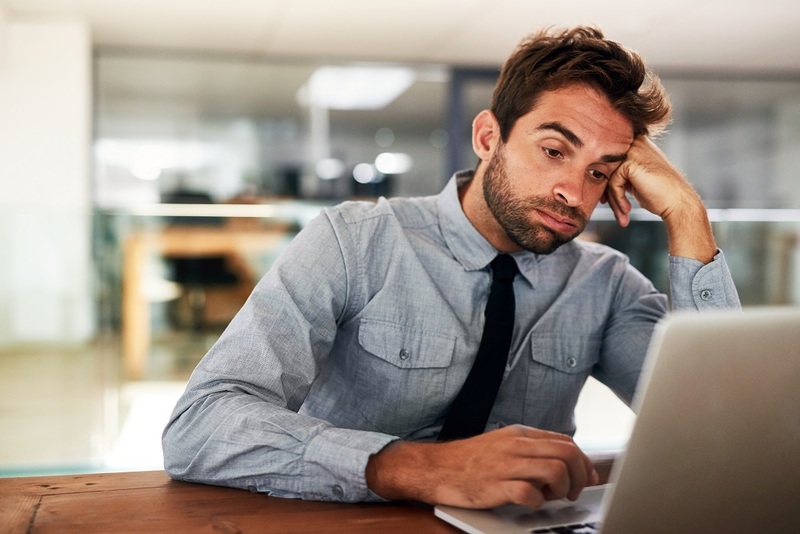 There are a number of possible barriers to behavior change at various levels from individuals up to the top of organizations and change undoubtedly takes time, but to do nothing (literally) is not an option. This article is the lead from the latest issue of Cardinus Connect. Featuring articles on employee wellbeing, using ergonomics as a business tool, employee vision care and much more. Download your free copy here. Looking for an ergonomics solution to promote a more active work life? Our rest break software does just that. Click to find out more.